A wide support for different formats, including FLV. 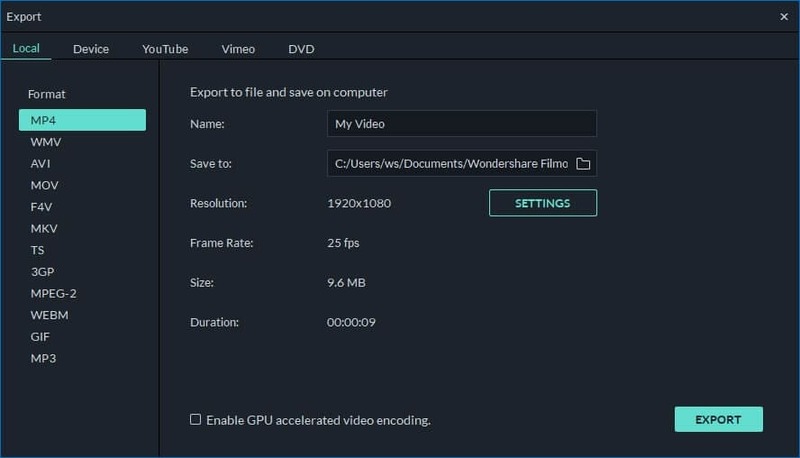 To import your local FLV files to this app, you can click the "Import" option to browse your computer and select the files you want to load. At this time, you'll notice these added FLV files have been listed in the User's album of this FLV video cutter. Or, you can also drag and drop the target files to the Album. Move the Time Indicator to the exact position you want by dragging the top of the red Time Indicator and the slider bar. And then click the Scissor-like button. When you've finished the FLV cut job, you need to save the project for backup purpose. To do it, you can click the button in the top left corner of this smart FLV cutter, and then go to "Save as" option. If need, you can delete your wanted FLV clips by hitting FLV clips and then clicking "Delete" icon. Then click the "Create" button to pop up the Output window, where you need to hit the Format tab and select the FLV to export the new FLV file.